(VEN) - Although it is the world’s biggest exporter of cashews and a world-leading exporter of wood products, Vietnam has to import raw materials to process these products for export. 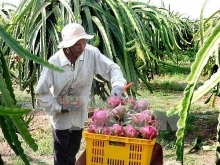 In the first 11 months of 2018, Vietnam exported processed cashews worth US$3.07 billion and wood products worth US$5.65 billion. The country had to import raw materials to process these products for exports, with Nigeria being one of the major suppliers. Raw cashews and sawn timber accounted for 87.89 percent of Vietnam’s imports from Nigeria, with the remaining 12.11 percent including liquefied petroleum gas (LPG), sesame seeds, ordinary metals, plastic materials, cattle feed, cotton of different kinds, raw seafood, and fruits and vegetables, among others. The Vietnamese Trade Office in Nigeria works with the Processed Wood Producers and Marketers Association of Nigeria (PROWPMAN) to find suppliers of raw materials for domestic wood producers. Officials from the office met with Oyaleke Ademola, Chairman of the Processed Wood Producers and Marketers Association of Nigeria, and suggested that the organization encourage reputable Nigerian timber exporters to attend the Vietnam International Furniture & Home Accessories Fair 2018 (VIFA-EXPO 2018). 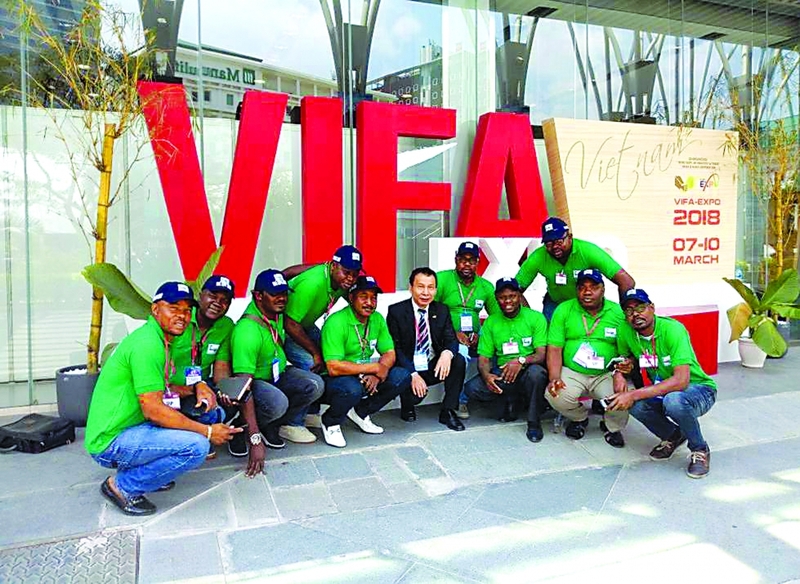 The Nigerian delegation, including 12 raw timber exporters and wooden accessories importers, led by Ademola, visited Vietnam from March 7-11, 2018. Members attended a seminar on trade connection with Vietnamese businesses and visited Vietnamese wood refineries in Ho Chi Minh City, Hanoi and Hai Phong. Nigeria has become one of the world’s largest producers of raw cashews, providing 82.62 percent Vietnam’s raw cashew imports. The Vietnam Trade Office in Nigeria works with the National Cashew Association of Nigeria (NCAN) to seek reputable suppliers of raw cashews for Vietnamese enterprises. 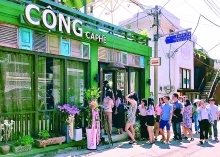 NCAN has signed a memorandum of understanding on cashew production, import, export and processing with the Vietnam Cashew Association (VINACAS) and Vietnam has become its largest trade partner. Raw materials are a vital factor for many producers, and African countries should be an important source of raw materials for them. 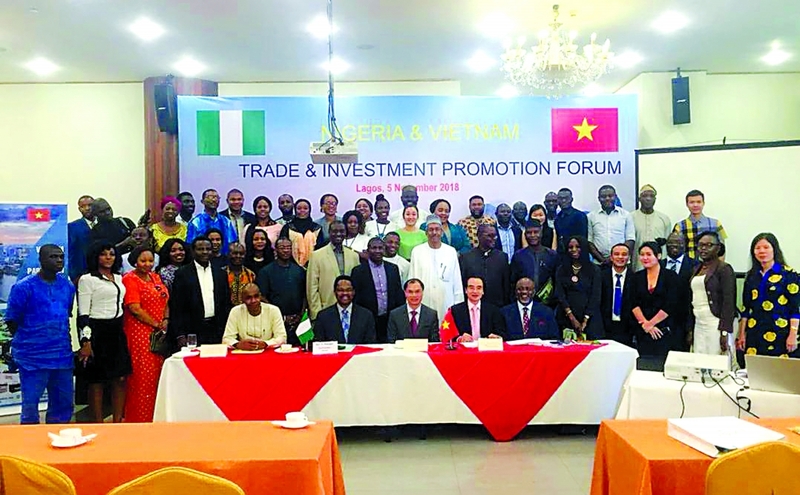 Apart from looking for raw materials for domestic enterprises, the Vietnam Trade Office in Nigeria has worked with reputable Nigerian importers to connect them with Vietnamese exporters. The office posted information on Nigerian enterprise verification, procedures for exporting goods to Nigeria, seminar organization, and the Vietnam-Nigeria Trade and Investment Promotion Forum. and city trade promotion centers, and the Vietnam Trade Office in Nigeria.